With the Great British Beer Festival behind me for another year I took stock of my beer shelf. With some new Italian additions acquired at the festival to insert into the pile, I noticed that I still had a couple of bottles left over from last year. To clear out some space and celebrate the fact that it was Thursday I decided that one needed to be drunk – I chose the transatlantic Birra del Borgo/Dogfish Head collaborative imperial pils, My Antonia. This was a beer I took on recommendation and didn’t realise it was a collaboration until several months after I got it home. When I finally did realise I was quite pleased, as my history with interesting beers from abroad started with Dogfish Head. My memory is famously bad, especially about the past, and even a few days is enough for me to entirely forget what I’ve done, especially if beer was involved. Unfortunately this makes remembering my pre-blog booze history difficult, although certain key events have stuck in leaky brain. One of these epiphanies was my first taste of a ridiculously hoppy beer – Dogfish Head 120 minute IPA1. Continuously hopped for 2 hours before 2 months of ageing and dry hopping, it was unlike anything else I’d ever tried when I found it on cask at the GBBF sometime around 2005 – from there my love of hoppy beers sprang forth. 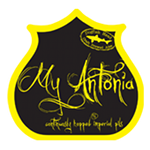 My Antonia is now brewed by Dogfish Head in the US, but it started out as a collaboration with Italy’s Birra del Borgo. They brewery opened in 2005 in Borgorose to the northeast of Rome, after founder Leonardo di Vincenzo decided to take his biochemistry degree and move from home brewing into the world of commercial beer-making. Since then they have expanded with a new brewery (called The New Brewery) and stakes in ventures around the world, from Bir and Fud in Rome to La Birreria in Manhattan. This international expansion led to Dogfish Head’s Sam Calagione visiting Borgo in 2008 and the collaboration which produced the original My Antonia. Both breweries now produce versions of the beer and I managed to grab a bottle of the Italian edition. 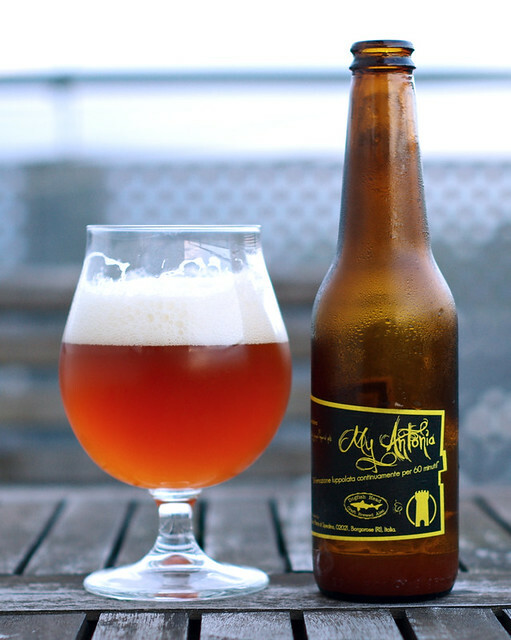 The beer is named for Willa Cather’s novel My Antonia (now on the to-read list) and is, according to the bottle, a ‘Continually-hopped™ Imperial Pils’. Google translate tells me that the slogan on the label means ‘an emotion continually hopped for 60 minutes’, and a small amount of searching points at the Dogfish Head 60 minute IPA as the inspiration – 60 minutes of boiling the beer in the kettle, adding hops (saaz, warrior and simcoe) constantly through that time. Sticking with the ‘pils’ monicker it’s brewed with pils and carapils malt and, less commonly for a pilsner, it’s bottle conditioned. I left the dregs in the bottle and the beer poured very clear, vibrantly orange/red. On the nose it’s strong, sweet and fruity, with dried apricots and buttery grains levelled out by a touch of sour green grassiness and bitter hop. To taste the sweetness continues, along with a poke of booziness. 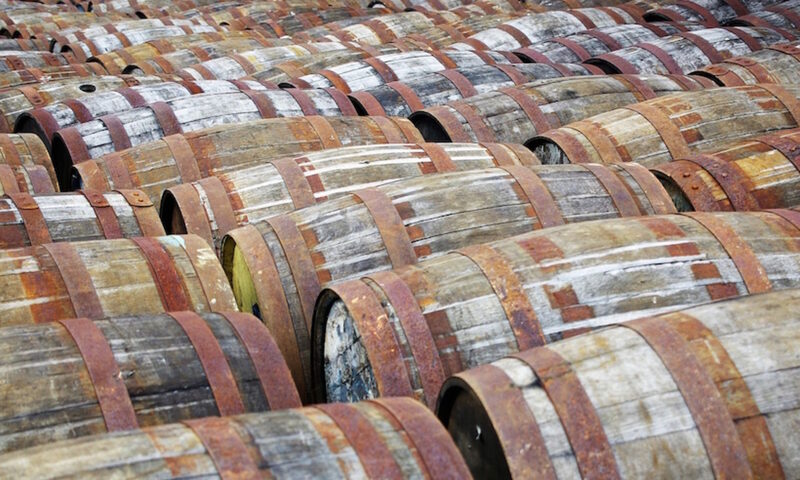 It’s packed full of rich fruit (berries, dried orchard fruit) and sweet malt (‘Imperial’ as a descriptor seems to signify ‘shedloads of malt’), treacle, floral hedgerows, balanced citrus (lemon and grapefruit) and a touch of soapiness. It finishes very long, with intensely sweet fruit slowly overtaken by bitter green hops coming in from underneath. Imperial Pils, 7.5%. ~£7.50 for a 75cl bottle. 1Thinking about it, I’m not sure it was Dogfish Head 120 Minute IPA. It could well have been the 60 minute or the 90 minute. I don’t know, it was a long time ago and barely remember what I did yesterday. Anyway, thank you Dogfish Head. My eyes are now open. It’s the only one I tried from Birra del Borgo, but I thought it a delicious brew too. My bottle was rather large though, i believe 75cl.